Maybe because in modern times messy looks are very popular and we often see bed head effect hairstyles. Such braids will update your look for any occasion. Really, you can go to a date or cocktail party, and you can wake up in the morning with such style already on your head. Scroll down and find out some cute ideas on braided styles loose, relaxed, with ropes and flowers and other accessories. 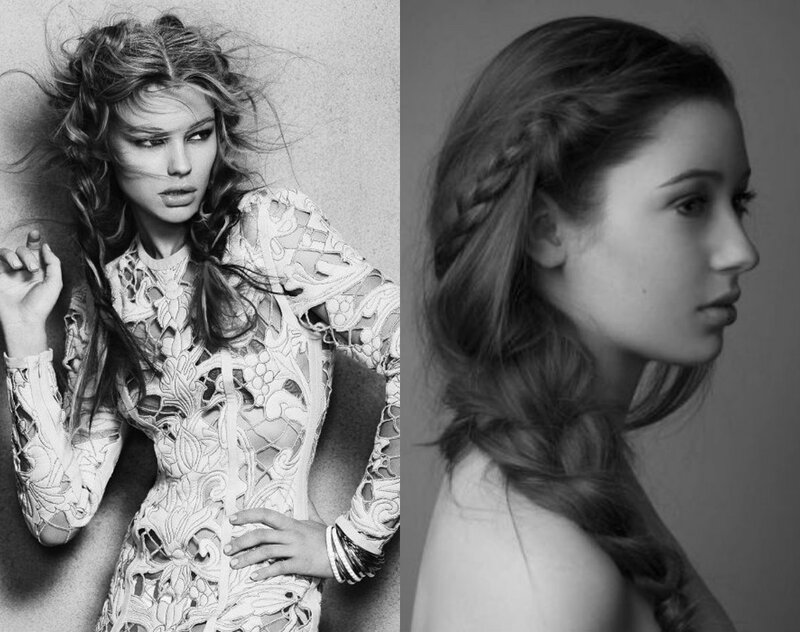 Any plaited hair design can be turned into a boho look. So it can be fishtail and traditional French three strand plait, you can have one solid braid, or cute double braids. The idea is to wear them messy, with strands left out as f tousled by the wind. 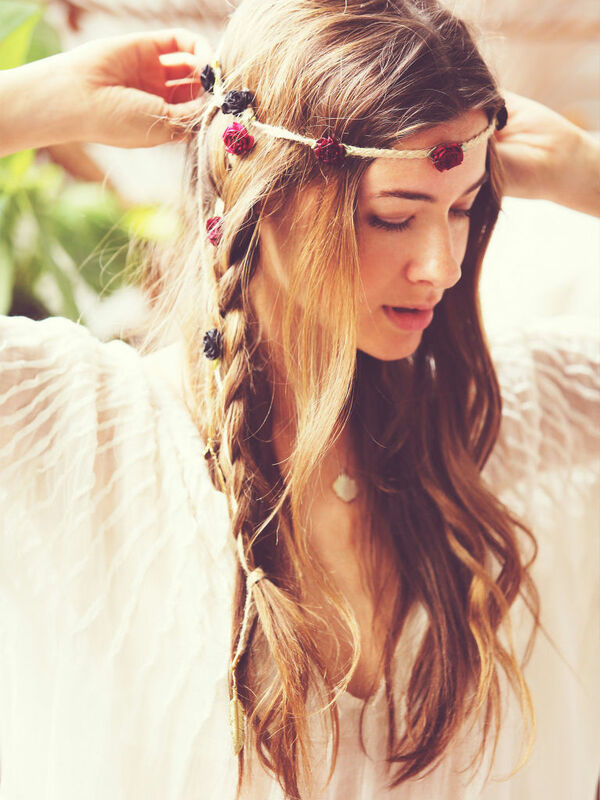 Also it is essential to add accessories to make your boho braids hairstyles look complete. The good thing with such styles is that you can find a one for any occasion. For everyday looks, it can be simple side swept braids. Wile for hanging out with friends you may create two pigtail braids, add some colorful ropes while styling and a nice image ready to go. 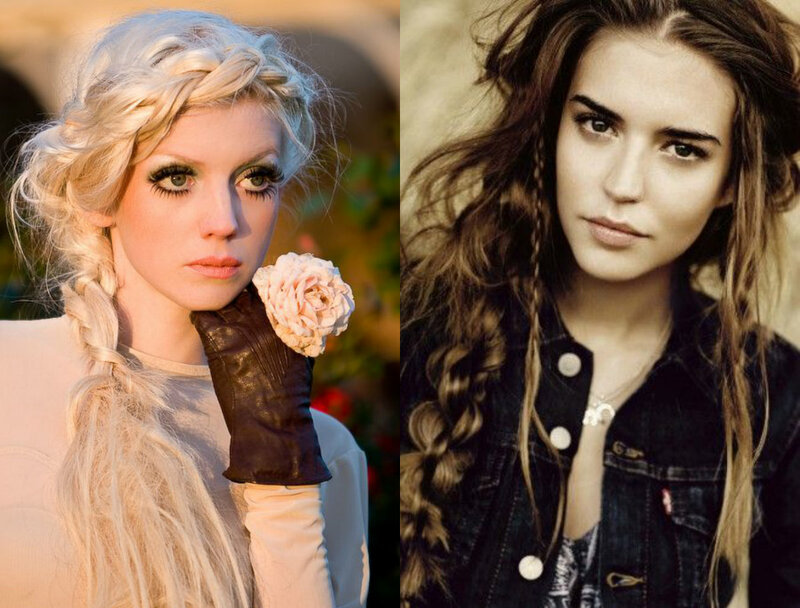 Also mind, the boho braids allow the fusion of various styles and sizes. In a word, give freedom to your imagination, create small raids alongside with huge major plait, or try inverted braiding with classy one. 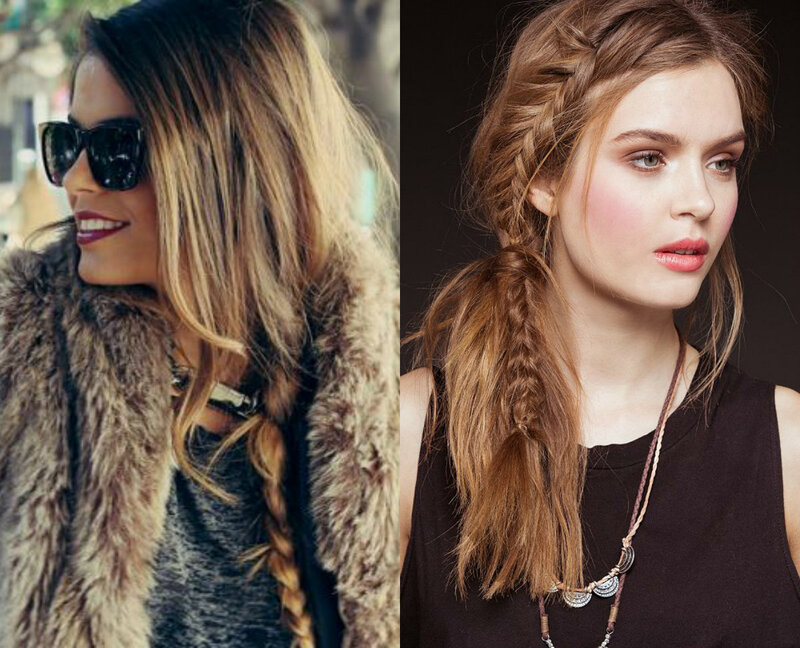 One of the most popular boho styles is the simplest side braid. Yet, it can;t be polished and tight. Instead it should be quite relaxed starting almost from shoulder level and plaited carelessly so that some hair is left out. Perhaps for a smaller braid. Well, the truth is that you can covert your braid into boho look any time you want, bu just adding a thin headband or some flowers in the plait.